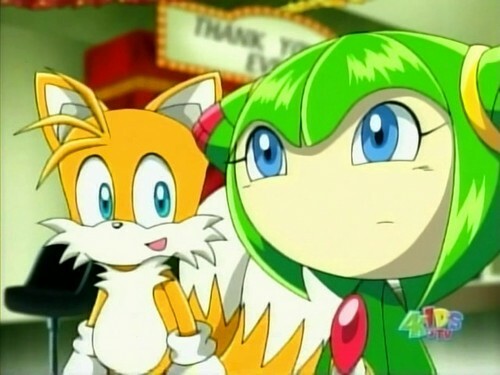 tails and cosmo sonic x episode 65. a Liebe appearance here. Wallpaper and background images in the Miles "Tails" Prower club tagged: tails. This Miles "Tails" Prower photo might contain anime, comic, manga, cartoon, comic buch, karikatur, and comics.